We’ve all heard that they’re different (somehow?) I thought this was going to be straight forward, turns out I was wrong. 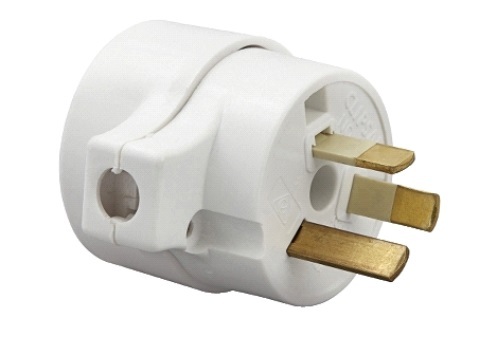 Before we get into the details, we need to define what exactly an “AMP” plug is. 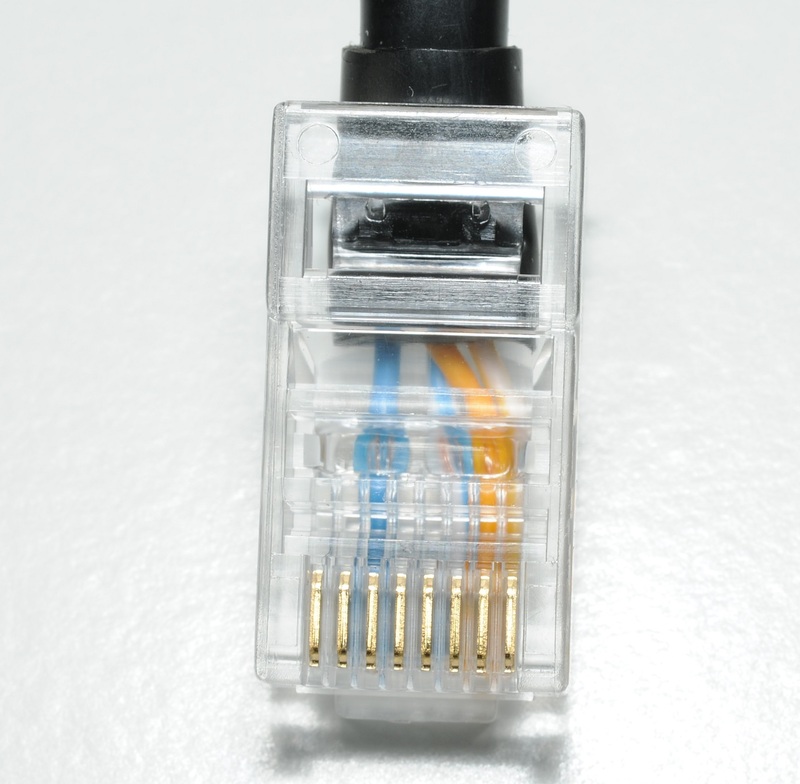 In the first instance an AMP connector is made not by AMP, but CommScope. The AMP company was dissolved many years ago and its products have gone through various rounds of divestment and acquisition. 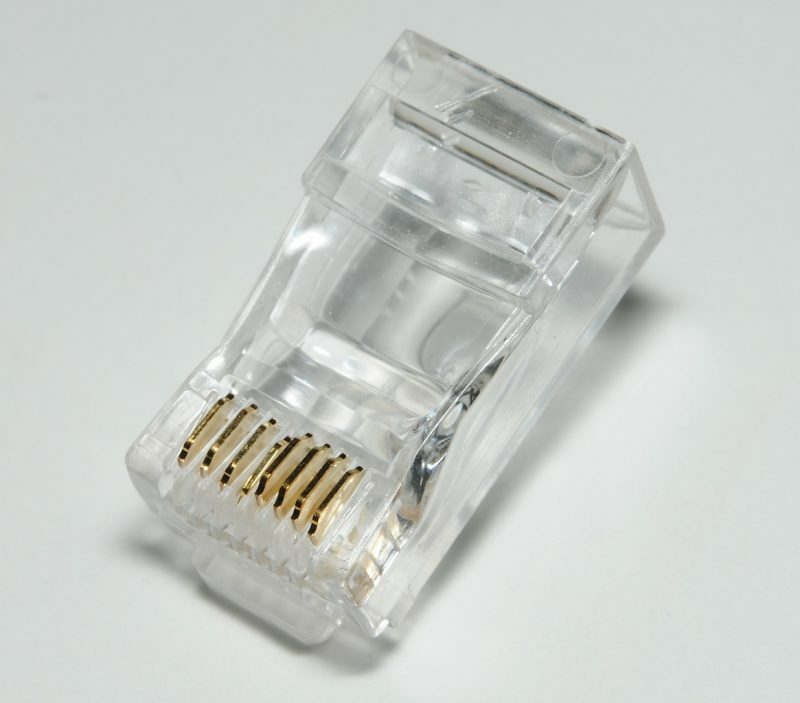 Other brands this type of connector has been sold under (historically) are “Tyco” and “TE Connectivity”. 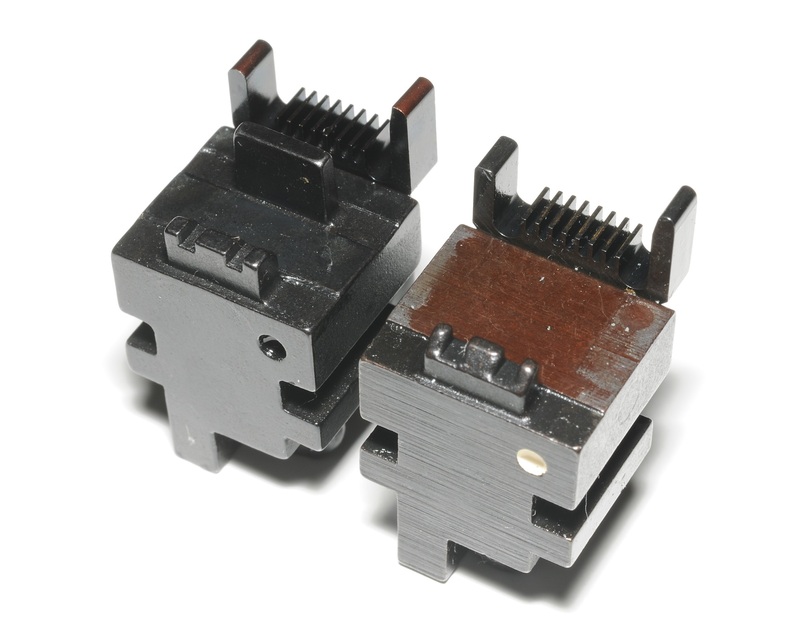 Non-AMP plugs are generally referred to as Stewart Stamping (SS) or Western Electric (WE) Style. 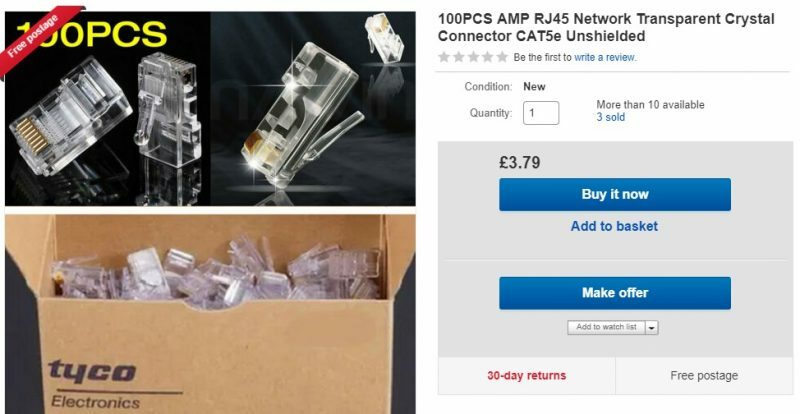 The second thing to consider is that eBay is awash with counterfeit products described as AMP plugs, but are not the products of any of the aforementioned suppliers, nor are they even physically similar to the genuine articles. 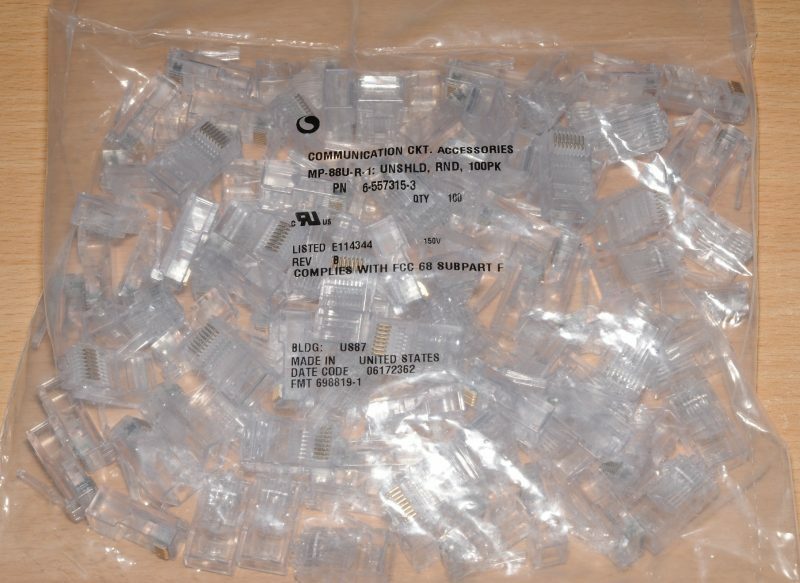 Most of these are low quality SS/WE style plugs, and should not be used with AMP tools. 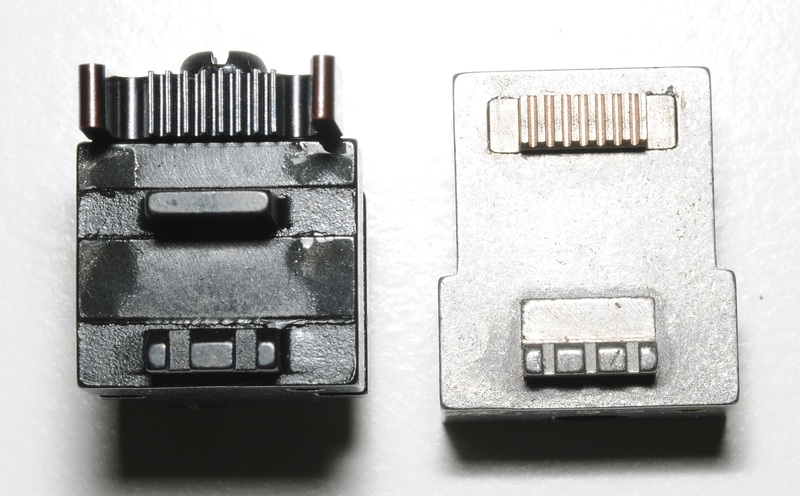 There are two distinct varieties of “AMP” (ish) connector. 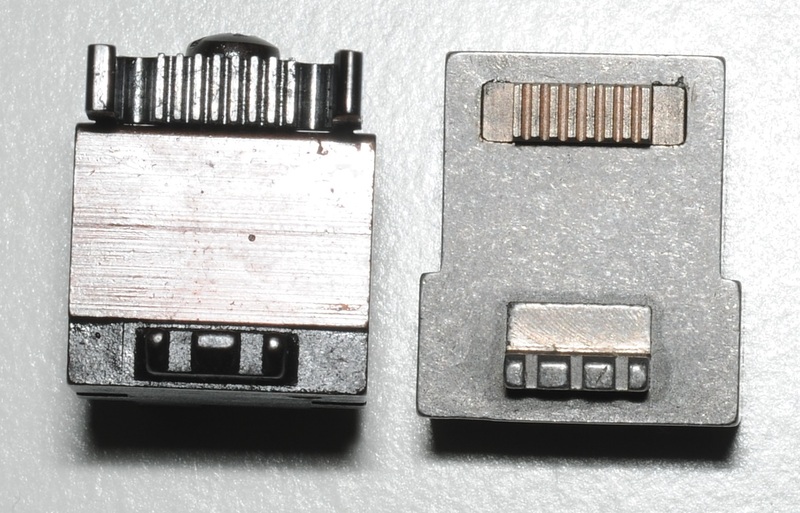 Left: “Line” style connector. 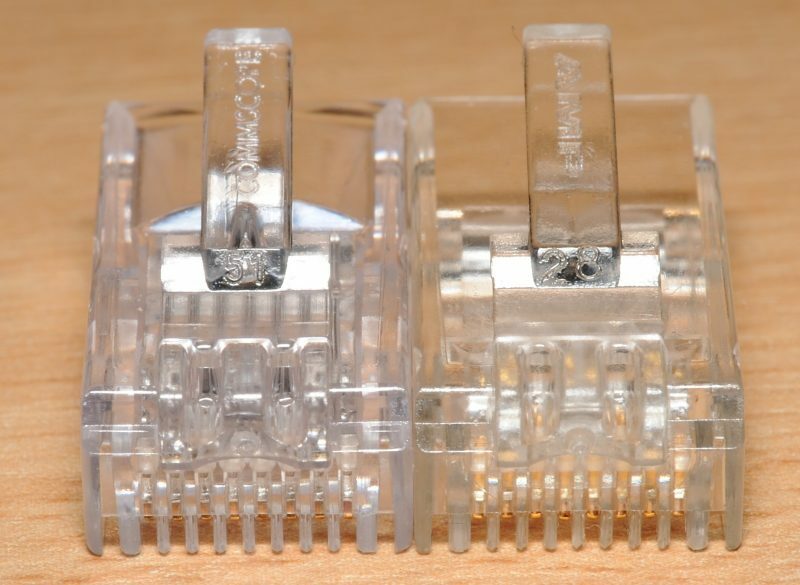 Right: “High Performance” style connector. The high performance style is open inside, allowing the cable to be inserted all the way up to the contacts. More about that at the end of the article. 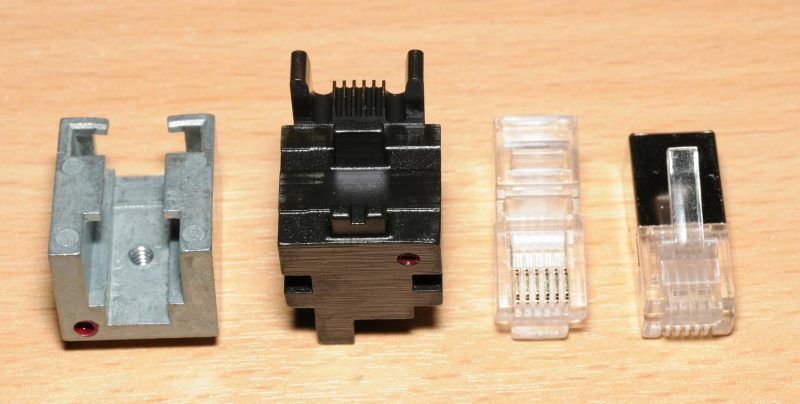 Which one is the fabled “AMP” connector? 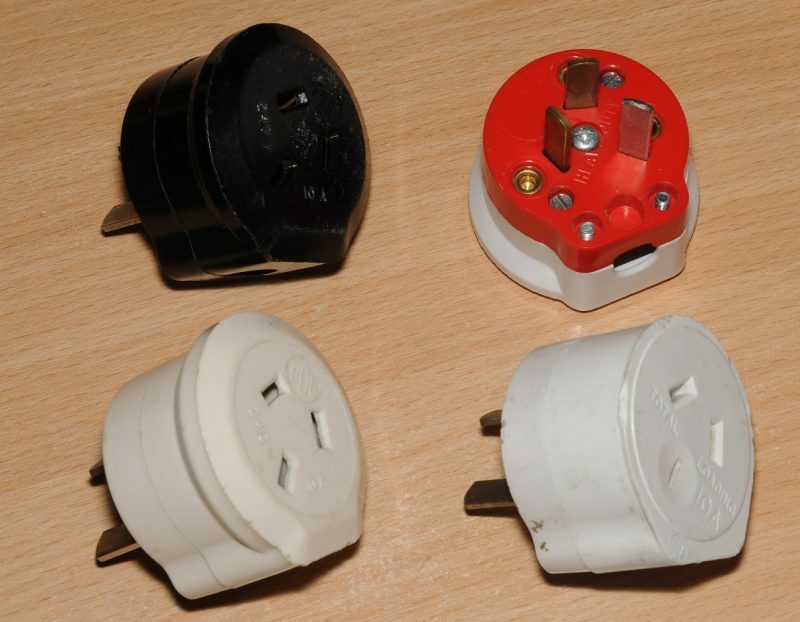 Both varieties are quite different to regular SS/WE plugs, however from a tooling perspective, the “black dot” tool for “Line” style plugs is significantly different. 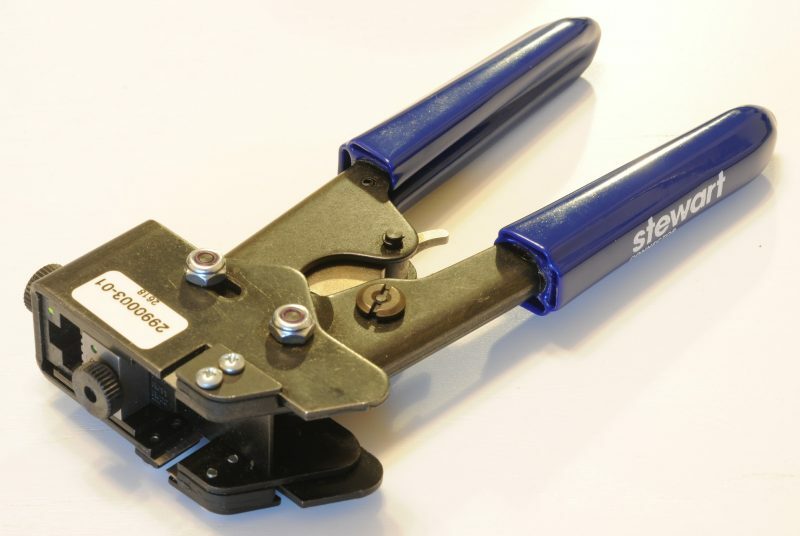 It is this type which other manufacturers sell tools labelled as “AMP” style. For comparison with SS/WE I’ll be using the Stewart 2990003-01 tool (2990006-01 Die, yellow dot). When we look at the “black dot” die next to the one from the Stewart tool, the difference is clear. 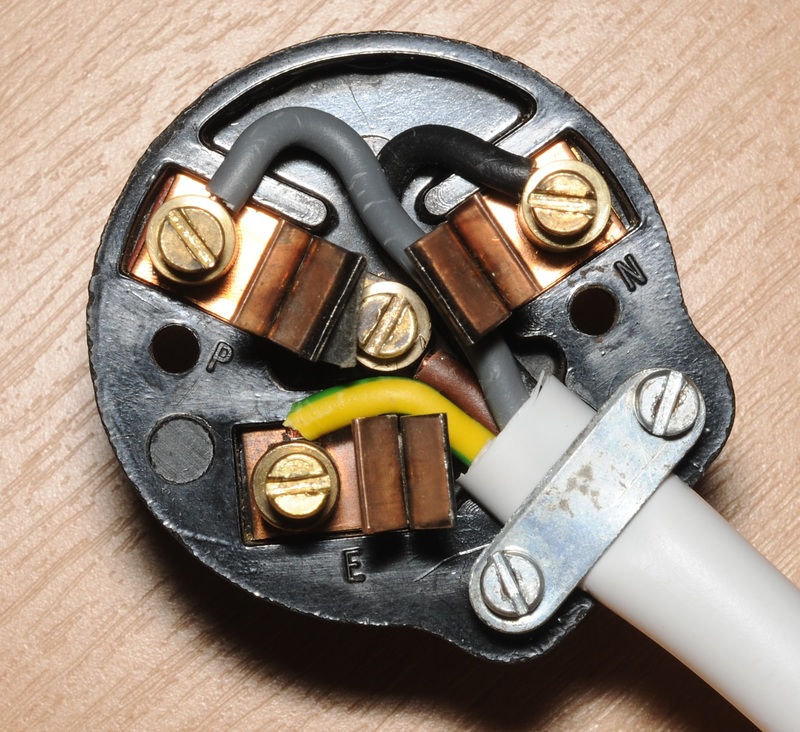 There is a third punch-down in the centre which crimps part of the plug onto the stripped wire, a feature that no other type of plug has. 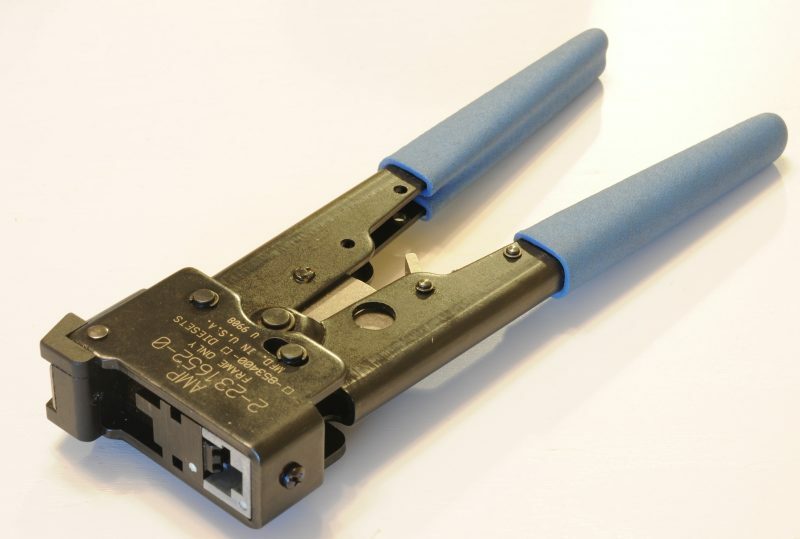 Because of this, you cannot use this tool to crimp most SS/WE plugs. 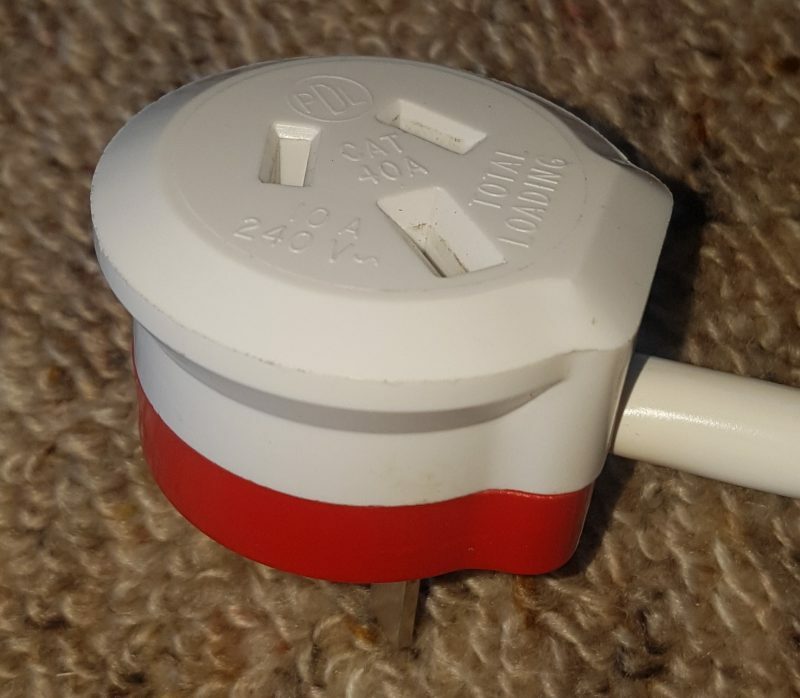 As for the “white dot” tool and associated “high performance” plugs, they’re not exactly the same as SS/WE plugs and associated tools but I’ve found that they are more-or-less interchangeable – I certainly could not see and problems with mixing them. Not a great result, and unlikely to work very well. I would’t be making a habit of this. 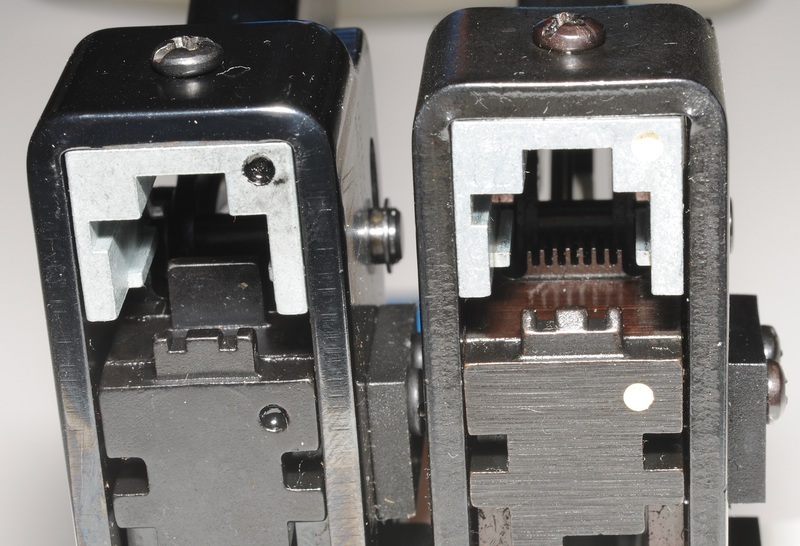 As we can see the wire has been damaged by plastic being squashed by the middle punch-down. Not recommended! On the left is an example of one, and on the right we’ve got the bog standard alternative. Please excuse the rubbish bit of wire I’ve used here. In the case of the “high performance” plug the cable is butted right up against the terminals, meaning that there is only a minuscule amount un-twisted cable, whereas the plug on the right has quite a lot. When we’re running long distances or at 10GbE this matters, but not in any other case. 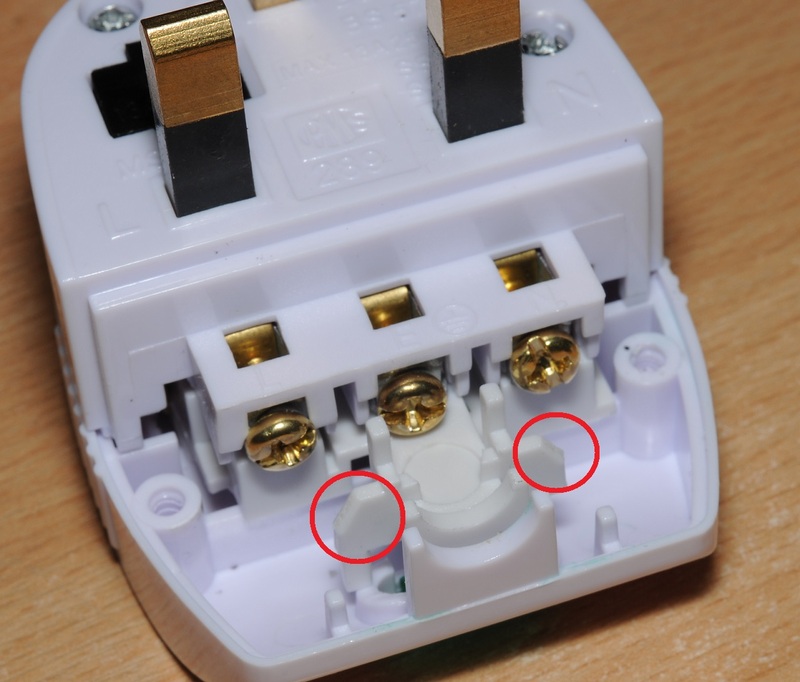 Some (line type) 8P8C AMP plugs crimp onto the cable at 3 points, whereas the rest crimp at 2 points. 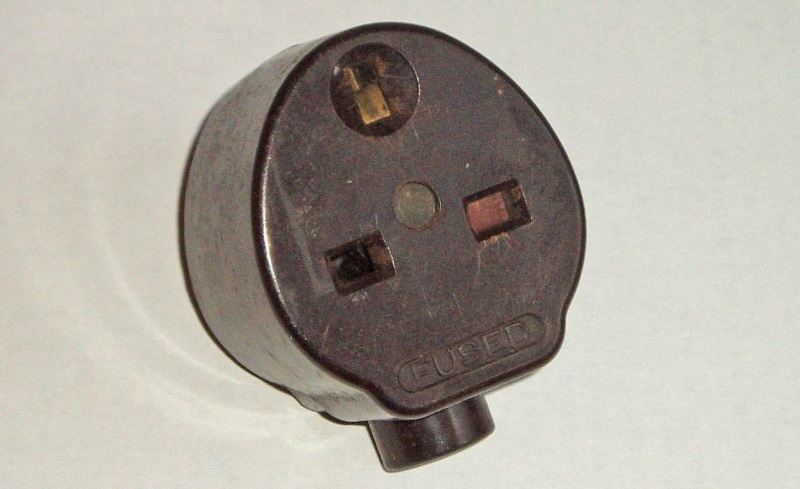 I have only seen one other connector type which crimps at 3 points (also originally an AMP specific type – now CommScope) – a special variety of 6 position “long” modular plug which has the lengthwise dimensions of an 8 position plug. 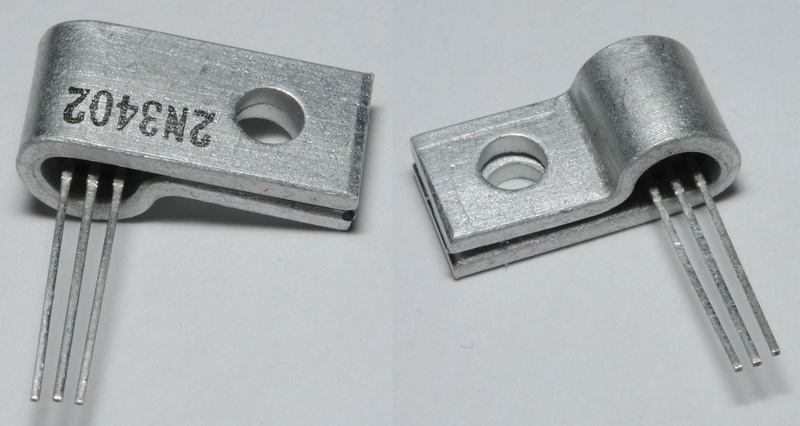 These are normally used where a shielded 6 position type is required. 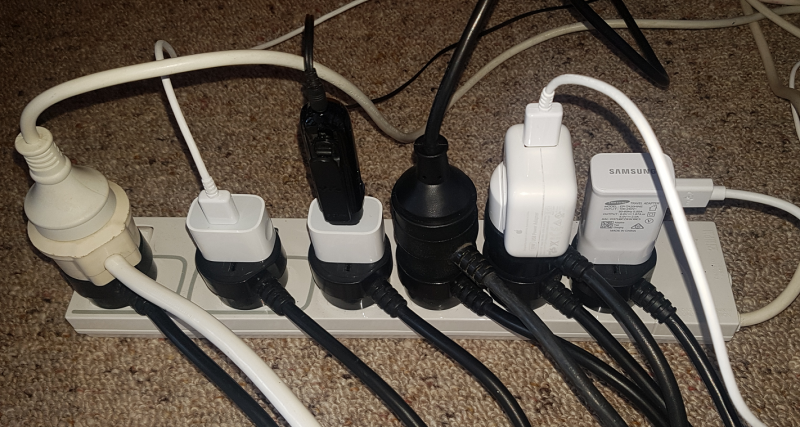 Even without this requirement – if you are using 6 position plugs regularly these things are a heck of an improvement over the standard type. 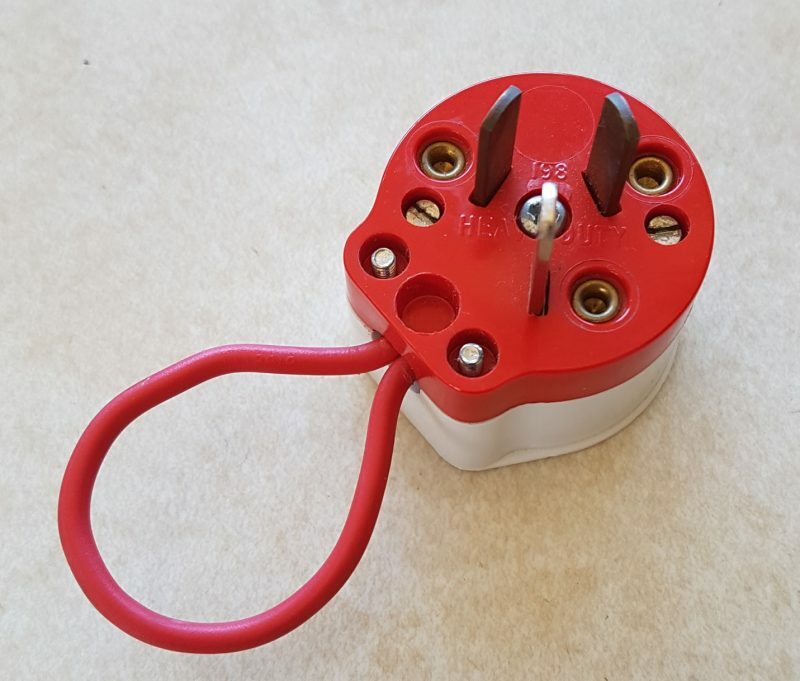 They fit standard 6 position sockets, crimp very easily onto round cable, and the longer dimensions and tab make them a lot easier to connect/disconnect. 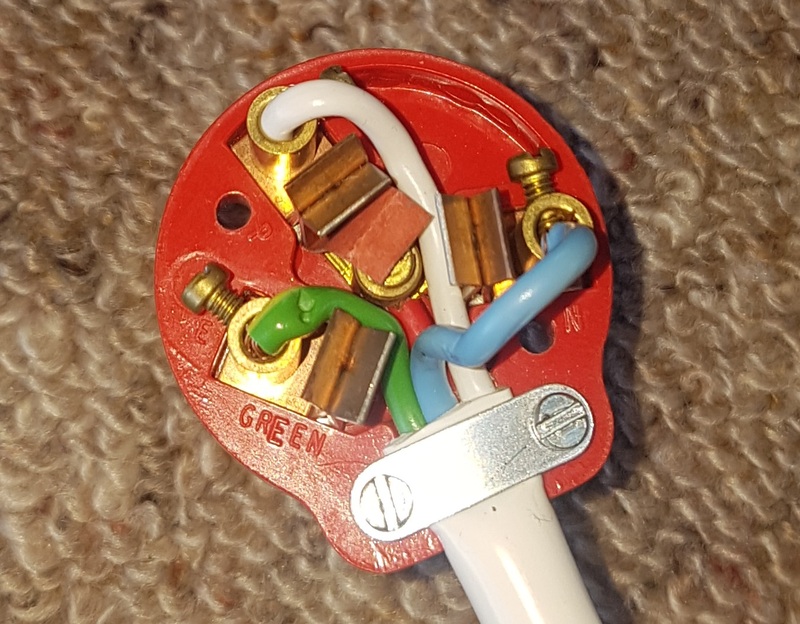 Recently while watching the YouTube channel of UK Electrician John Ward I came across a most interesting clip where an eager viewer from New Zealand has posted in a considerable collection of electrical bits and bobs. Myself originally being from New Zealand it was amusing to watch. Among the collection is a most interesting combination antenna & power socket, which certainly, I had not ever seen before. 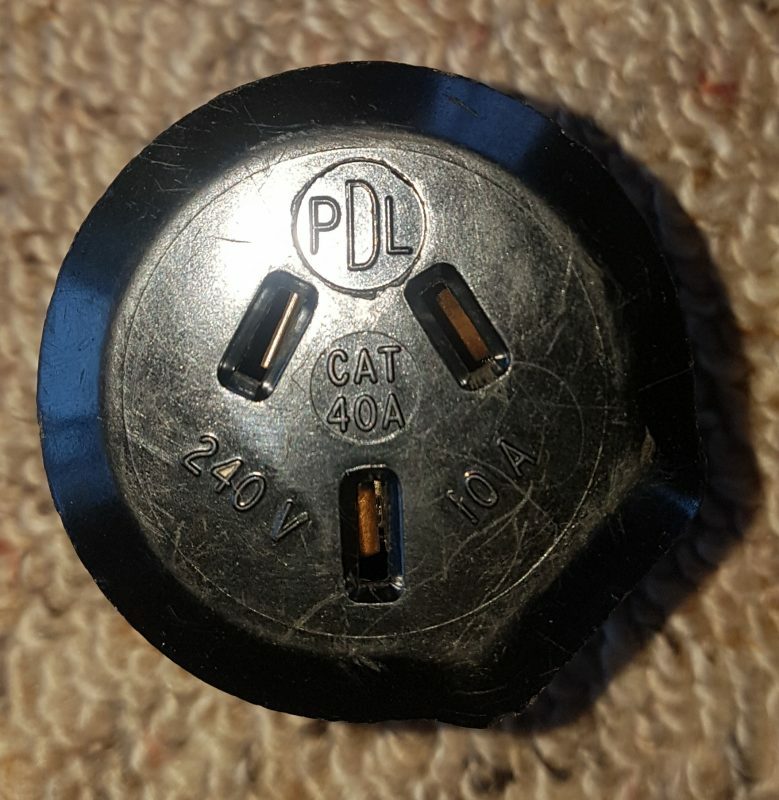 One item our enthusiastic mailer of electrical articles has not included, but has made the host aware of, is the subject of this article: The long-discontinued PDL 40A – the de-facto symbol of Kiwi electrical innovation and nostalgia. 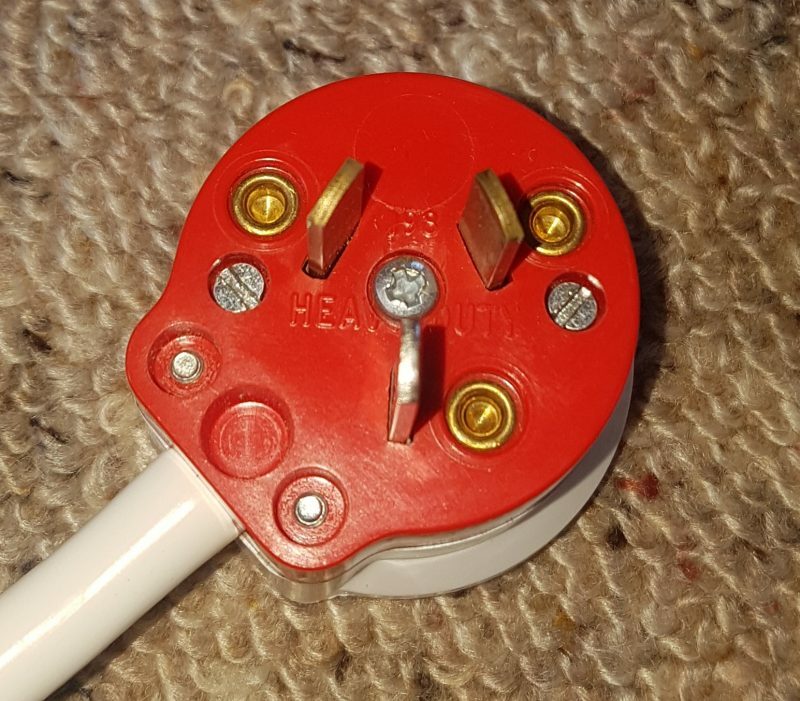 The key difference between these plugs and a regular tap-on is that the phase pin on the rear socket is not connected to the plug side, therefore, using a 4 core cable, the socket on the back can be switched via some kind of control device on the end of the lead. 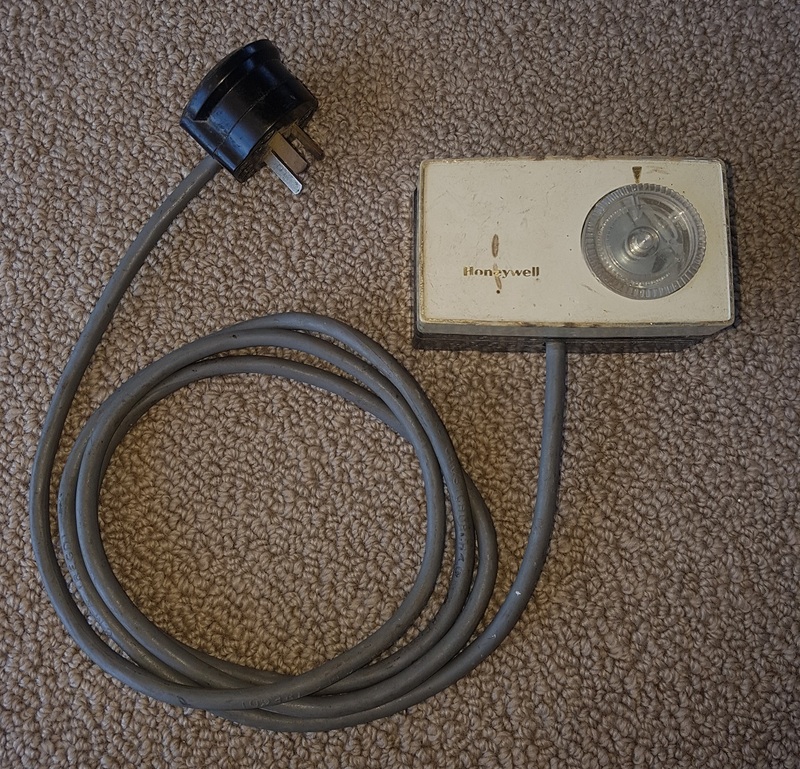 While they were designed for use with 4 core cable – ‘Kiwi ingenuity’ is actually another form of the phrase ‘Hook or by crook’ and not surprisingly I have not ever seen one wired like this (that wasn’t wired by myself). Typically 3-core cable is used, then the earth wire gets re-purposed as the phase return, and the switching device has to do without earth. 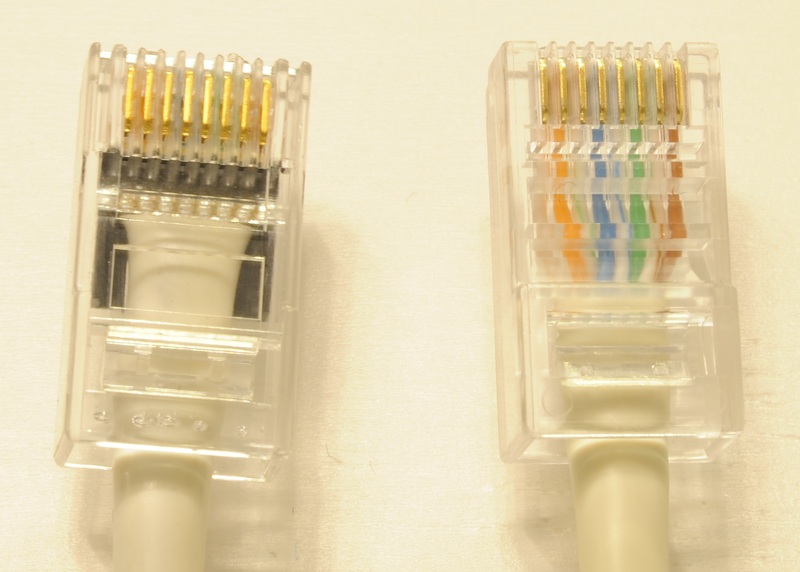 In the case where an earth is connected to the switching device, it’s because the neutral has been done away with, or some other solution is devised that doesn’t involve purchasing a length of 4-core cable. 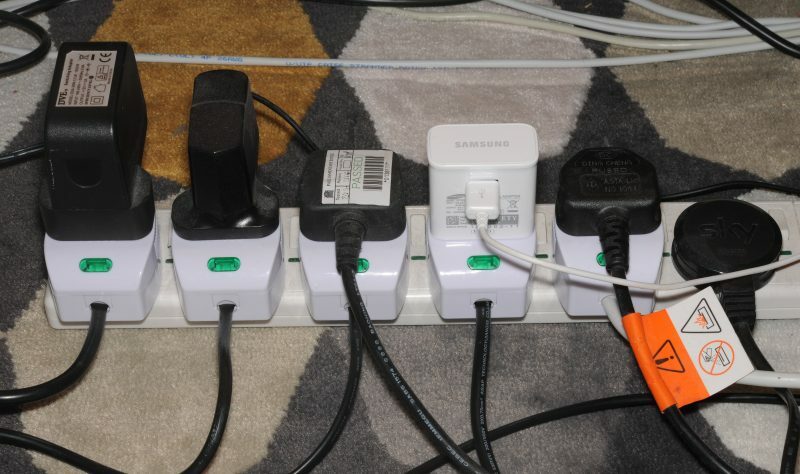 I find myself wondering if the practice of using these plugs with 3 core cable may have contributed to PDL’s decision to discontinue it. 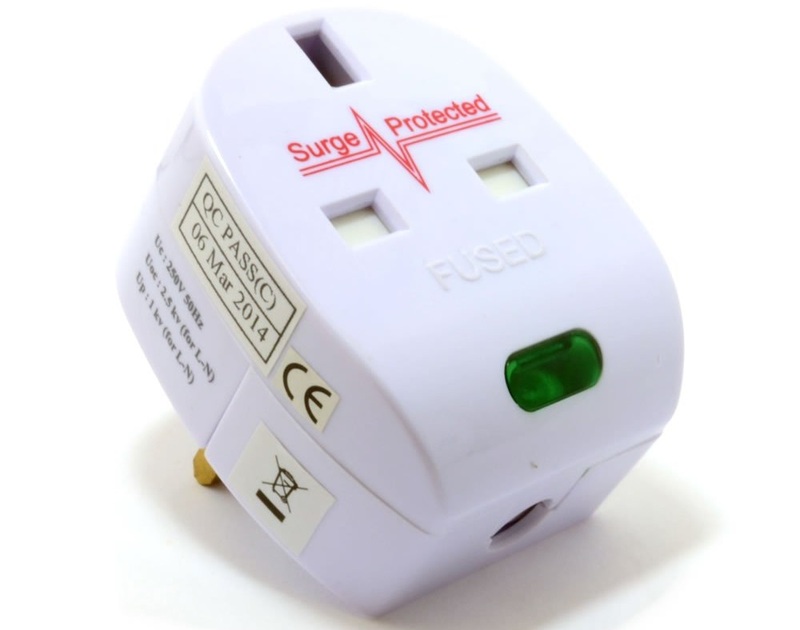 Certainly in the case of earlier versions of the plug which aren’t easily identifiable as interrupted phase versions, subsequently wired with 3 core cable in some unknown likely dangerous arrangement i.e. 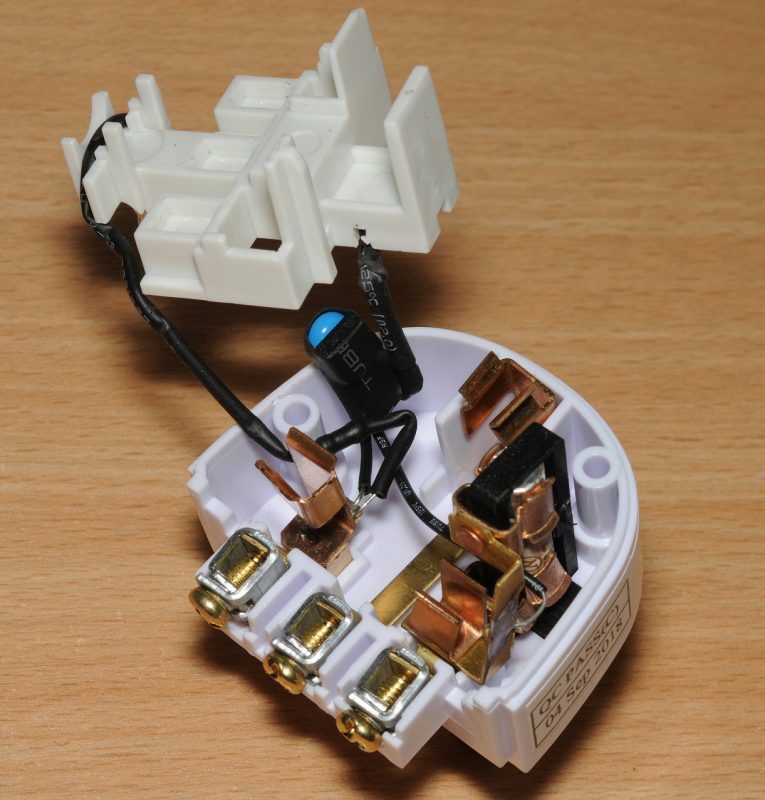 earth connected to the phase pin – that cable could be mistakenly re-wired onto a metal chassis appliance likely leading to a fatal electric shock. The Australians have got their own version of this – made, of course, by Clipsal. 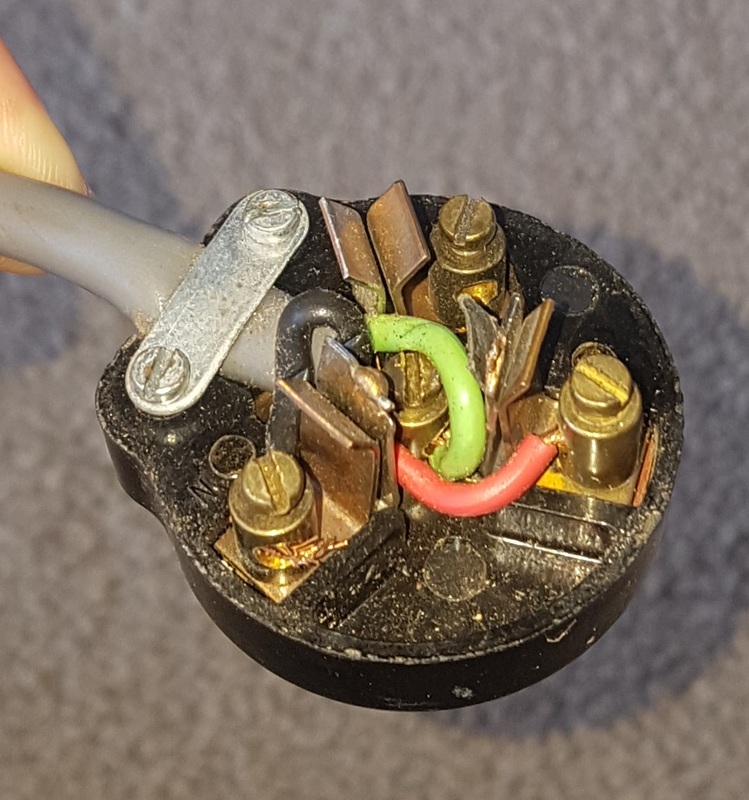 For anyone wanting this kind of plug, at least these are still made, and certainly, by the time I started wiring stuff it was the only one purchasable. I can say from experience it’s just not the same as using a 40A. 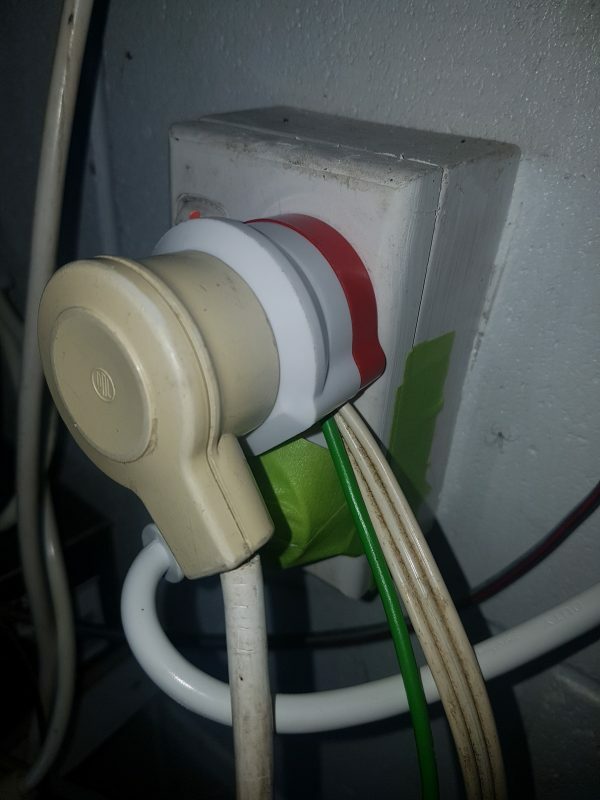 While not quite of the same quality – It could be argued that the Clipsal is better, because both the line and neutral are “interrupted”, for the almost inconceivable scenario where an RCD is doing the switching perhaps? Making full use of this does require a rather unwieldy length of 5-core flex, which by the time we get to 1.5mm2 is pretty big stuff, typical for full load 10 amp applications. The fact that we’re using one of these plugs at all indicates that we’re not exactly flush for time or money; and in practice I doubt anyone has ever bothered with two pole switching, typically bridging the neutral inside the plug, instead stuffing a couple of lengths of figure eight Christmas tree wire into it, getting us the minimum requisite four conductors. In this day and age 40As are exceptionally difficult to come by. They were unheard of in domestic environments, and uncommon in industrial / commercial environments too. I got a taste of its rarity when entering an electrical wholesaler with one about 15 years ago, to ask where I could get another: “Whoa!” said the guy behind the counter – “Haven’t seen one of those for a while!” Apparently that day when a 40A was carried into their store was a special one. The few that still exist are very precious and typically hoarded by obsessive people like myself, a very unusual item to be in possession of indeed considering that I now live in the UK. I can boast a very large collection of 1 (and a broken black one), which is about as many as I’ll ever have. Will I ever find a use for it? Even if I moved back to New Zealand, probably not. It’s not as if it hasn’t been done before, but here’s my take on this classic. 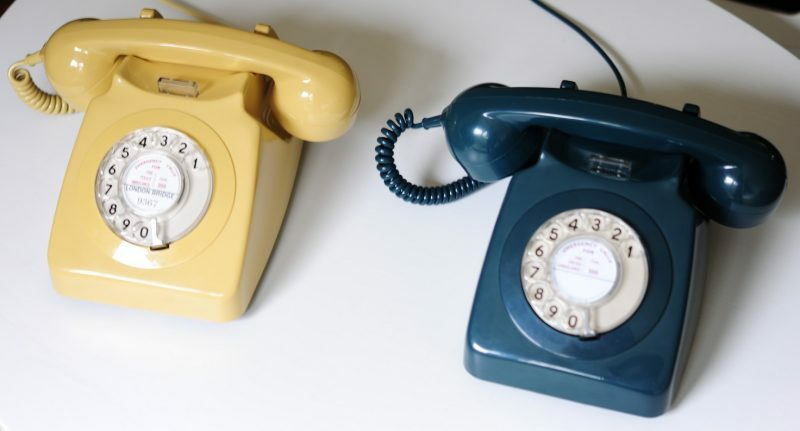 I recently wrote this page which I wish existed somewhere on the internet after I recently bought a couple of vintage telephones. Now I have to find an IC which can divide two of the above frequencies down to 100 Hz or 1 KHz. The trusty old CD4060 immediately jumps out. 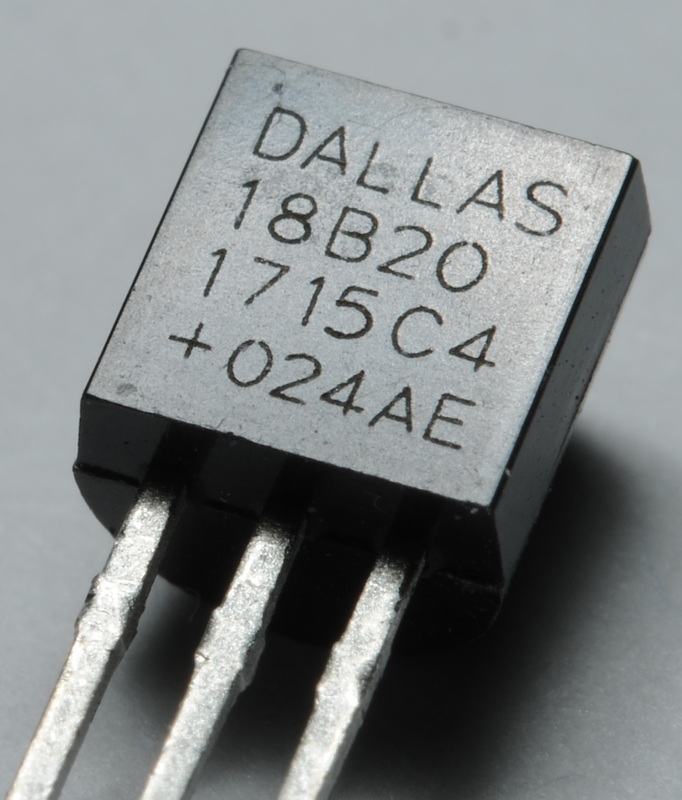 If we switch between 25.600 KHz and 32.000 KHz crystals, also changing the output stage – we’ve got a solution. Problem is, this solution falls foul of two my objectives – that one-and-only obscure 25.600 KHz crystal, which is not SMT. 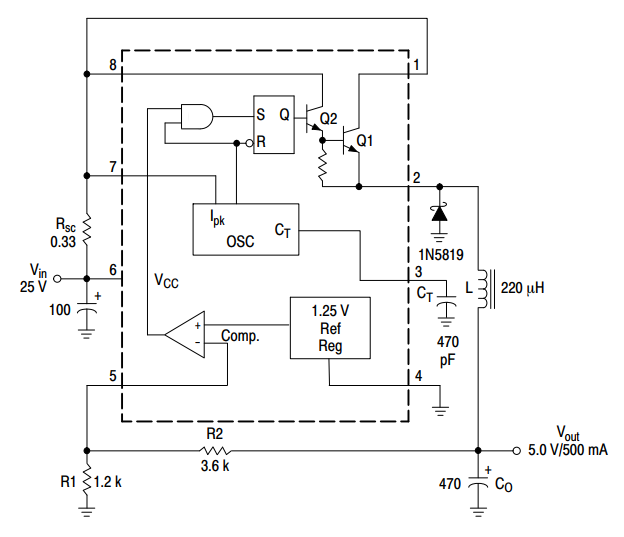 With the only practical primary clock (for me) for 100 Hz operation being 6.5536 MHz, that rules pretty much all CD4xxx timers, which according to their datasheets, can’t operate with such high input clocks. So far as I could see that leaves two options: 74xx292 (Rare in SMT) and HEF4541. 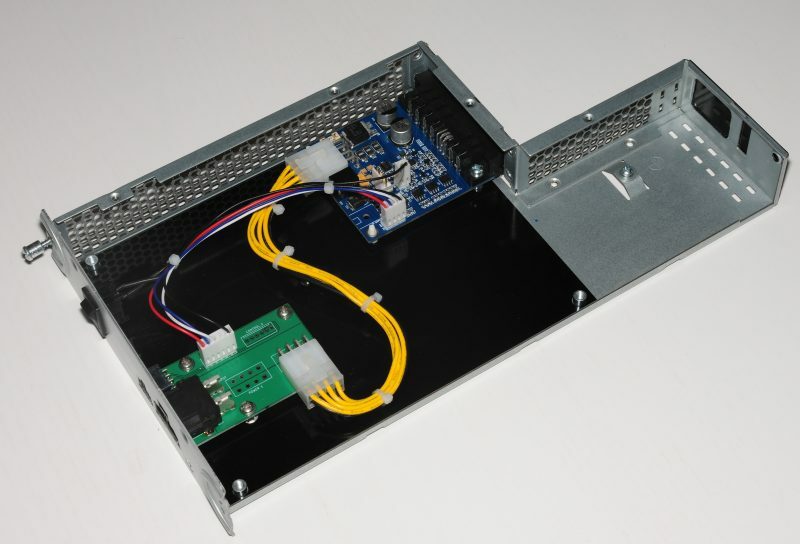 If we are to select 8.192 MHz for the 1 KHz option, both can divide by 8192 and 65536, and handle those input clocks. Because of the obscurity of 74xx292 in SMT, I’ve gone for HEF4541. 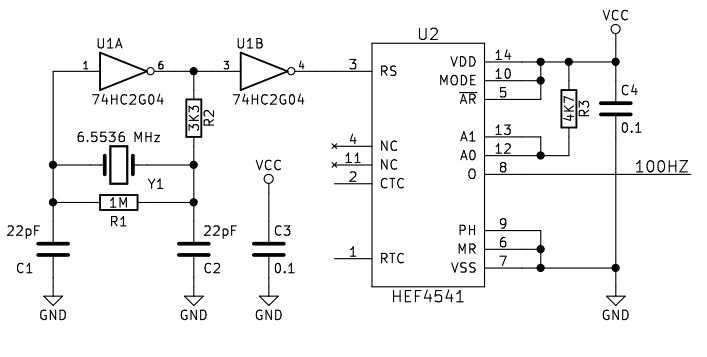 The HEF4541 can in theory have a crystal connected directly to it, but after hours of profanities I discover that running at Vcc = 5V it can’t quite self oscillate at 6-8 MHz. We can prove this by shorting RS and RTC, and we see that it self-oscillates (with no other components) at about 5.9 MHz, which reveals the shortest propagation time between those two pins. Great, so now we need another IC. Fortunately that only needs to be a 74HC2G04 which is tiny and inexpensive, barely increasing the footprint of this circuit. First, the 100 Hz version. Note that R3 can also be a wire link. And now the 1 KHz version. R3 is moved, and the crystal frequency is changed. As a keen electronics hobbyist, I have designed some 50 or so PCBs to date. 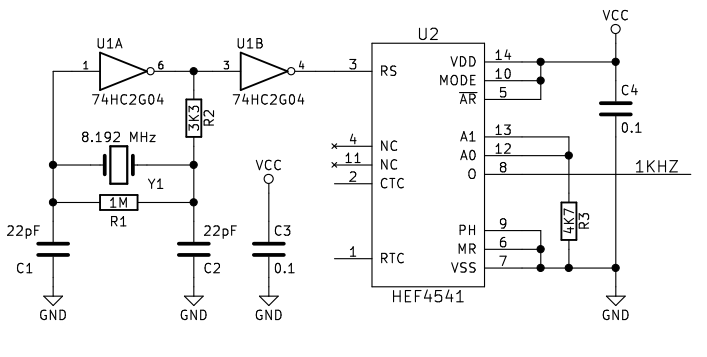 In each instance where a switching regulator is required, I’m typically reaching for one of two options: Where efficiency isn’t important – the trusty old LM2596, or when efficiency is required, I’ll be using a design from Linear Technology with synchronous regulation. On my last two boards however, for reasons I am myself not entirely sure of (cost perhaps?) I used an MC34063. It’s been with us since the dinosaurs roamed the earth, and is unsurprisingly very primitive. It should have been designated to the dustbin of history, but thanks to the internet and the renascence of electronics in the hobbyist space, it has made an aggressive comeback, and for a simple reason: It’s dirt cheap. My MC34063 was deployed on the PCB with the above circuit, lifted unchanged from the datasheet. It just so happened that I need 5V at 500mA max, from a 24-28V source. Perfect. What could possibly go wrong? There is one very important thing we must consider when using this chip: It has absolutely no built-in thermal protection. The above circuit does have over-current protection, but this does not offer any protection from sustained short circuits. In many cases that isn’t a problem, but on this board it was. From looking at the photo, we can see that there’s quite a bit of burned out stuff, making it a little difficult to piece together exactly what happened. Fortunately it all unfolded before my very eyes. The problem started with something that was nothing to do with the MC34063. See those two rectangular capacitors? One of them is particularly toasty indeed. 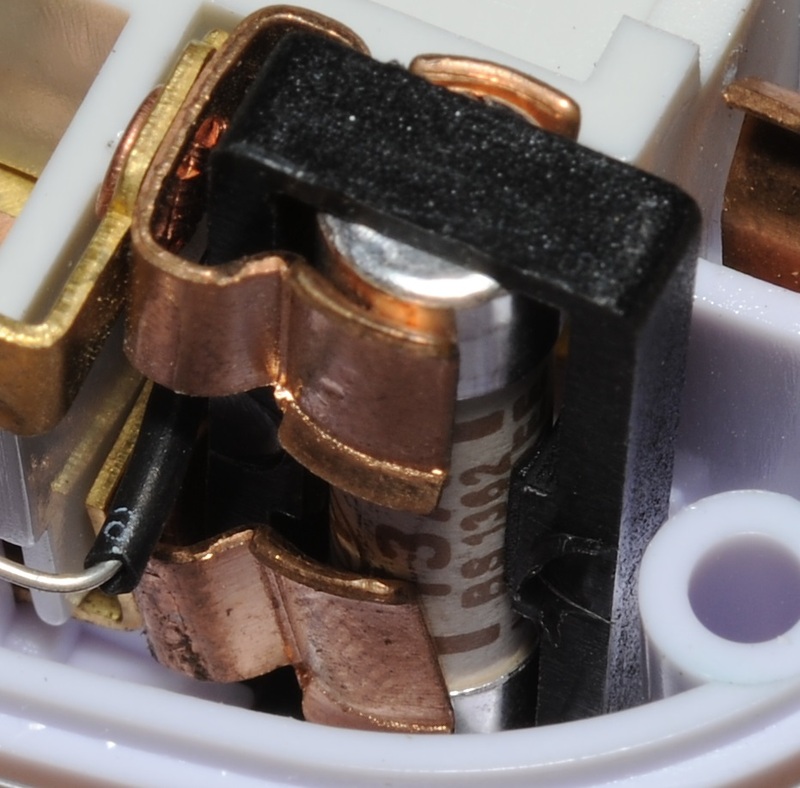 That capacitor is an AVX “TAJ” series 330uF 10V tantalum. 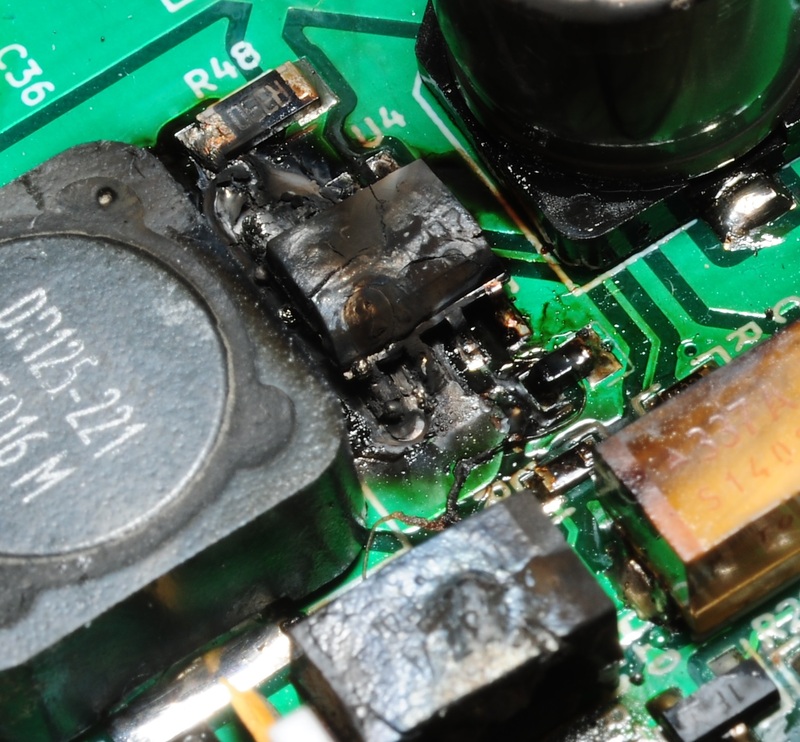 It had developed an internal short circuit which caused the MC34063 to gradually heat up, eventually reaching a point where its internals melted, then becoming a short circuit its self. Once the MC34063 became a short circuit, the 25V input voltage surged straight through to the 5V secondary, bear in mind that, that voltage is coming from a bank of large lead acid batteries. Both pairs of batteries were protected with battery fuses, but those were 15A a piece, as this is a very high power setup, also on the PCB was a 30A maxi blade fuse. Surely one of those would have blown? Nope. 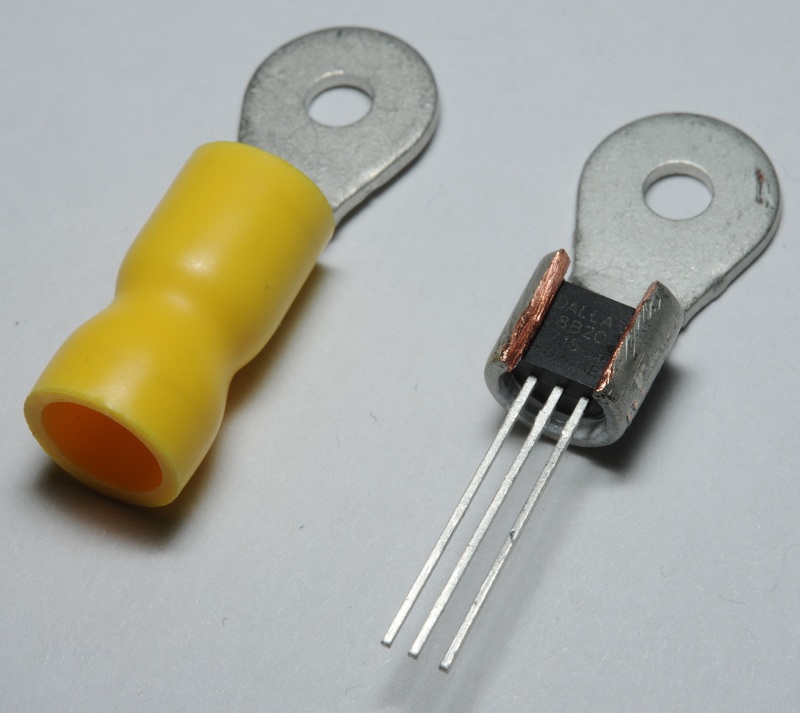 When silicon melts to the point of becoming a short circuit, there is typically still a few ohms of resistance, which in this case was not enough to blow any fuses. What happens next? BOOM! 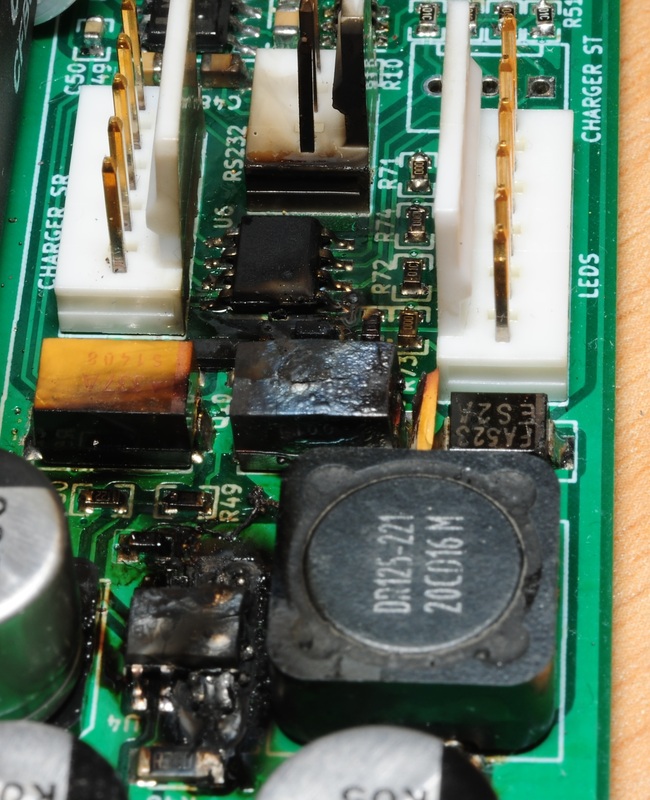 The short circuiting of the MC34063 unleashed 25V @ ~40A of potential at that shorted capacitor, which promptly exploded, ejecting a significant amount of fire and hot gasses in the process. In the picture you can clearly see the internals of it have become a melted blob of metal, transforming it into a very effective short circuit. 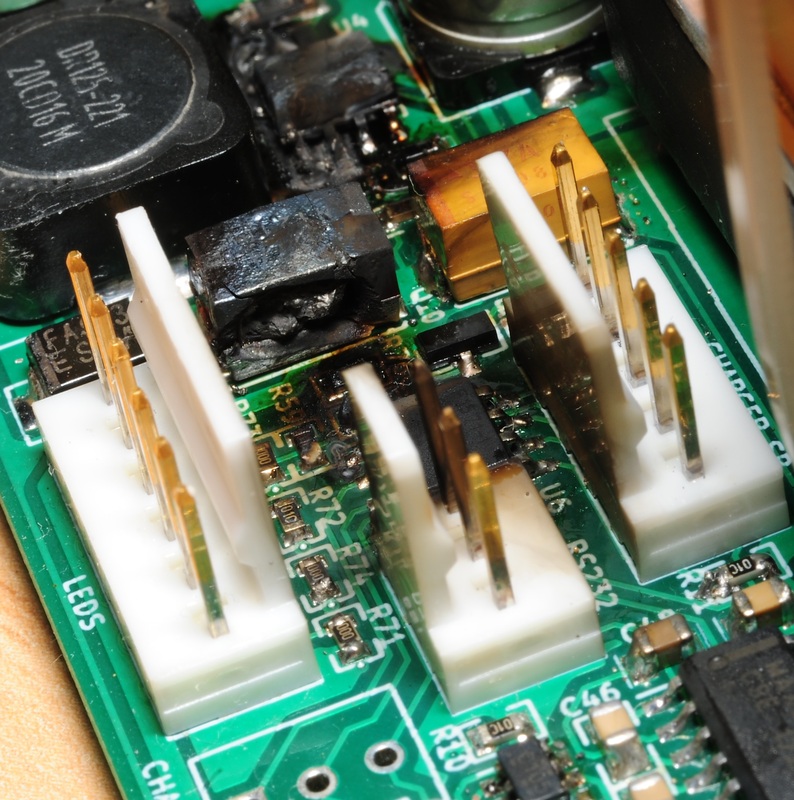 The last phase of destruction was the MC34063 its self burning to a cinder, as it is now the weakest part of the circuit, doing significant damage to the PCB in the process. It’s at this point that you start recounting exactly what is attached to the 5V rail, because it is likely now toast. 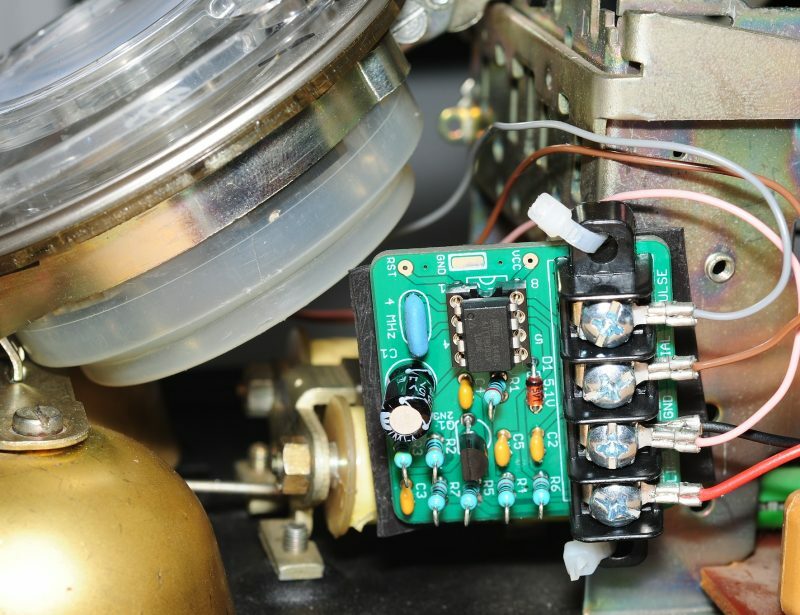 The tantalum capacitor must have briefly been open circuit because all 10 ICs fed from the 5V rail were completely destroyed, as well as all of the chips on a second PCB also fed from this regulator, requiring hours of rework to replace them all. Just as well there was nothing expensive connected to it. When using an MC34063, or anything else without built-in protection – short out its output for a few minutes and see what happens. If you find yourself staring at a mess like the above, sort it out. Don’t ever assume it won’t happen. 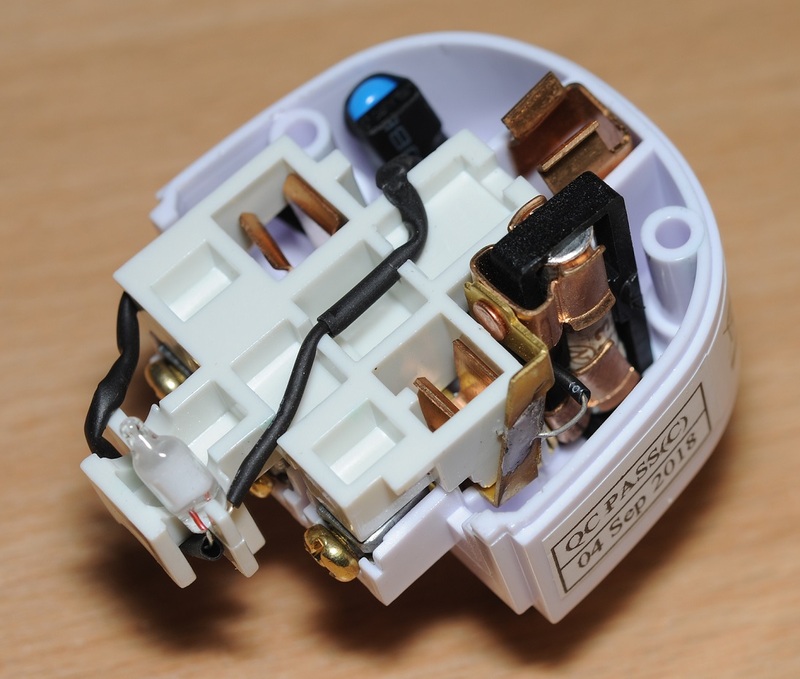 In cases like this where the system is fed from batteries, protected by large fuses – add a second smaller fuse i.e. 500mA before small circuits like this. 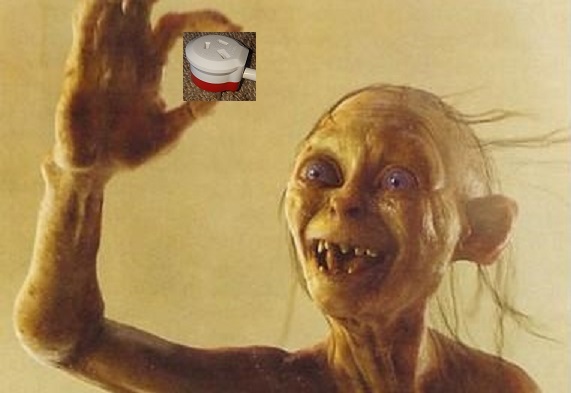 One of the biggest advantage of these sensors over I2C sensors, is that you can mount them almost anywhere. That having been said, I’ve never quite managed to come up with an elegant solution, particularly when attaching to a heatsink (for cooling applications). Typically I find myself drilling 5mm holes in pieces of aluminum, then stuffing the sensor in that hole, or using small metal clips, which aren’t always reliable. One solution I looked at using the aluminum heatsink clips from vintage TO-92 transistors i.e. 2N3403 and 2N4425. These are absolutely perfect but unfortunately the clips aren’t purchasable without the transistor. 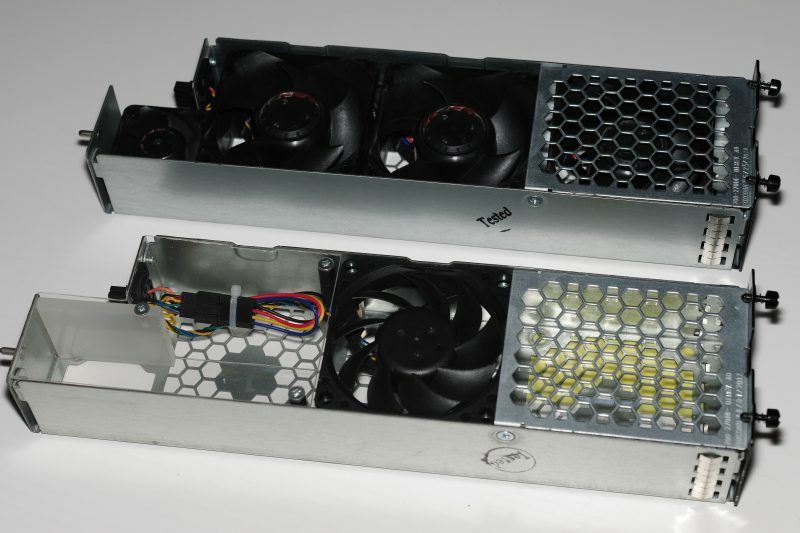 Sadly these parts are no longer in production and becoming increasingly rare. Destroying them to scavenge thier heatsink clips is a little senseless. Without wanting risk the wrath of the world’s remaining Ham Radio enthusiasts… What other options are there? Perfect! 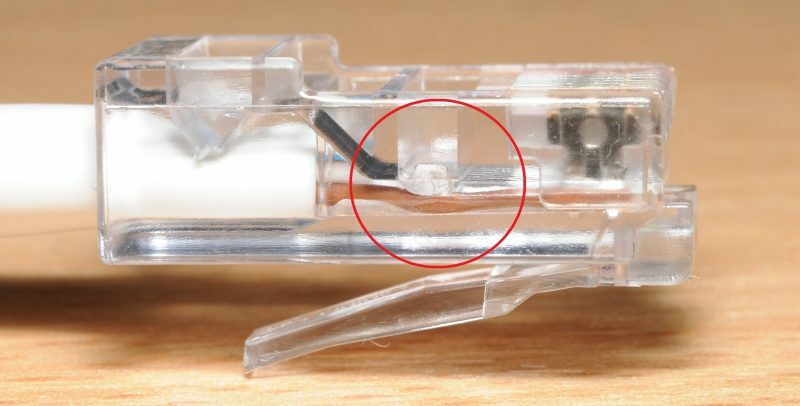 All I had to do was remove the plastic band, cut the crimp and open it a little, add a little heatsink compound (to be pedantic), then gently crimp the sensor in place with pliers. This has turned out to be a robust and inexpensive solution, as those terminals are made of copper, they conduct heat very effectively. I wish I had thought of this a decade ago. Putting a little heatshrink over the final assembly makes for a good finishing touch.